Colling's Foundation pilot Frank Romaglia gives a walk around and cockpit check. 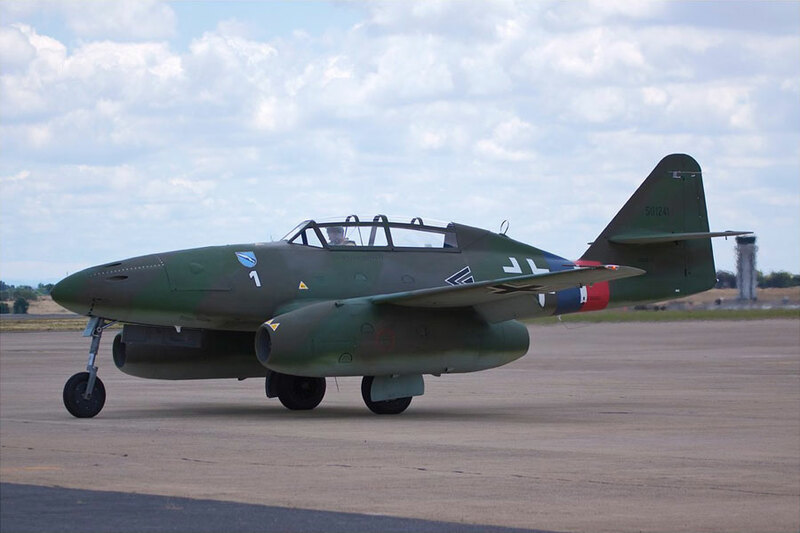 The Messerschmitt ME-262 was the most important secret weapon of the Luftwaffe in their efforts of air combat superiority. Although often vewed as a last ditch super weapon, the Me 262 was already being developed as project P.1065 before the start of WWII. Plans were first drawn up in April 1939 and the original design was very similar to the plane that would eventually enter service. 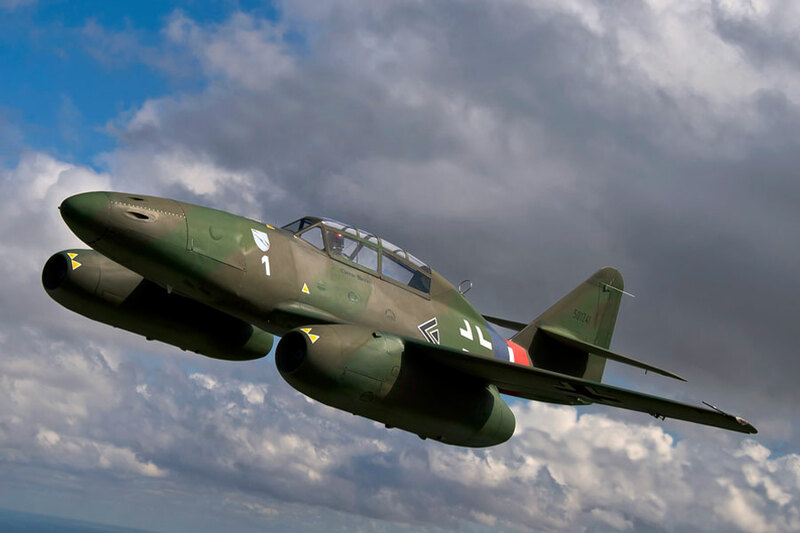 The first test flights began in April 1941, but since the BMW 003 turbjets were not ready for fitting, a conventional Junkers Jumo 210 engine was mounted in the nose, driving a propeller, to test the Me 262 VI airframe. When the BMW 003 were finally installed the Jumo was retained for safety which proved wise as both 003s failed during the first flight and the pilot had to land using the nose mounted engine alone. 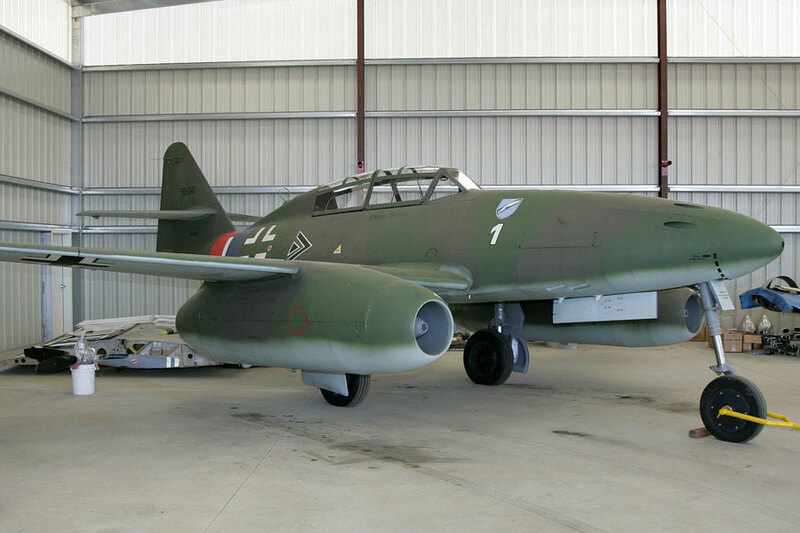 Full production of the Me 262 did not start until 1944 when the majority of engine and airframe problems were resolved. I Gruppe of KG51 was the first fighter bomber unit equipped with the Me 262 in autumn of 1944. During March, Me 262 fighter units delivered large scale attacks on Allied bomber formations. 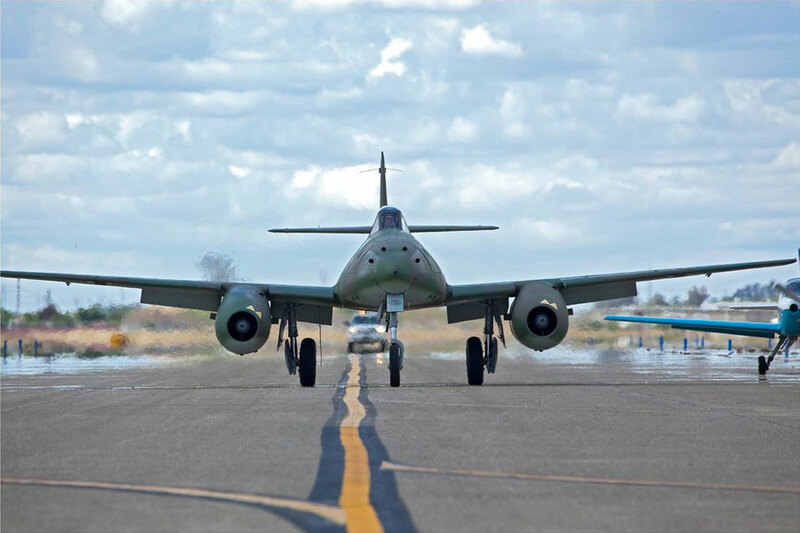 On March 18th, 1945, 37 Me 262s of JG7 intercepted a force of 1,221 bombers and 632 escorting fighters. 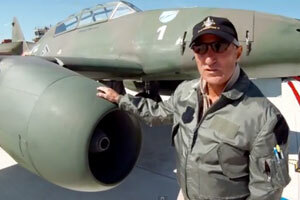 They managed to shoot down 12 bombers and one fighter for the loss of three Me -262s. 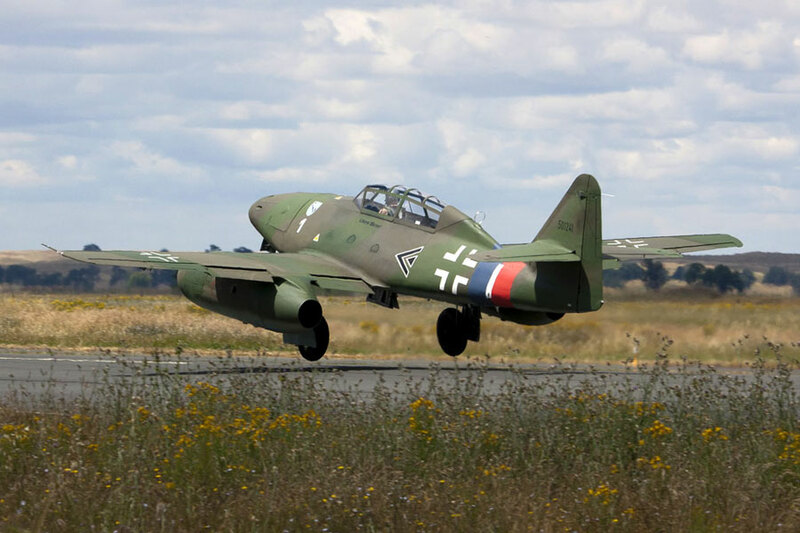 Despite its setbacks, the Me 262 was certainly the beginning of the end for the conventional propeller driven combat aircraft.